On October 2 of this year, Charles Carl Roberts IV stormed an Amish schoolhouse in West Nickel Mines, Pennsylvania, forced the boys out and took 10 girls hostage. Police believe he intended to molest them and possibly torture them as well (according to the Trenchcoat Chronicles), but was prevented by the prompt arrival of the police. Roberts is believed to have been motivated by a long-simmering resentment against healthy girl children, stemming from the death of his own daughter as a newborn. He also claimed in multiple suicide notes that he felt crushing guilt for having molested family members decades ago, although nothing has turned up to substantiate that particular claim. 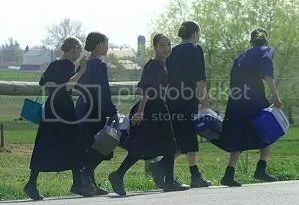 There was fear in the schoolhouse, but also a protectiveness, with the older girls looking out for the little ones, said the Amish man, who asked not to be named. But there was something else going on in the schoolhouse that day, too, he said. Roberts shot all 10 girls before killing himself. Five of the girls died almost immediately, five others were seriously wounded. Over a million dollars has been raised to help the families of the children involved, and the hospitals who treated the wounded and dying have waived their fees, although for many of the families there will be ongoing medical expenses that will continue to be a burden. Part of the money has already paid to have the schoolhouse razed to the ground (Thursday); it will be replaced by a new building, in a different location, and the site will be turned back into pasture. As reported at the time, the Amish community requested that the public forgive the shooter and support his widow and children as victims of this same tragedy. While Roberts‘ grave has been vandalized, there have been no reports of reprisals against his family, and the Amish have set aside a portion of the donations to assist the Roberts family. To our Amish friends, neighbors, and local community:Our family wants each of you to know that we are overwhelmed by the forgiveness, grace, and mercy that you’ve extended to us. Your love for our family has helped to provide the healing we so desperately need. The prayers, flowers, cards, and gifts you’ve given have touched our hearts in a way no words can describe. Your compassion has reached beyond our family, beyond our community, and is changing our world, and for this we sincerely thank you. This entry was posted in Blogroll, Christianity, Crime, Family, Religion, sad, tragedy. Bookmark the permalink. Would that all self-proclaimed “Christians” could behave like this. 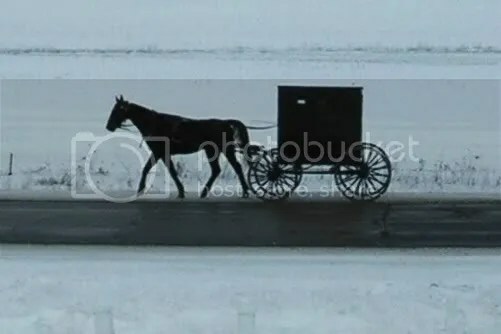 I am awed by the actions of the Amish community in the face of their suffering. Their example is inspiring.